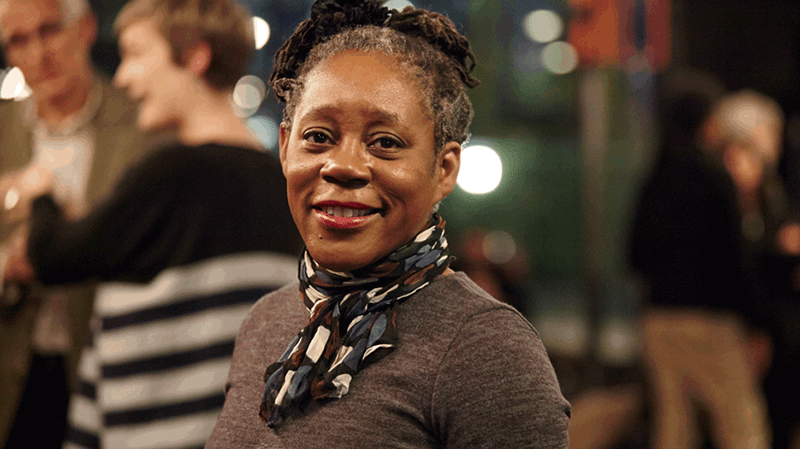 The Royal Academy of Arts elects Professor of Fine Arts Sonia Boyce in the category of Painting. Professor Sonia Boyce MBE has been elected as a Royal Academician in the category of Painting by the Royal Academy of Arts (RA). She becomes one of a group of 80 Royal Academicians, who are all practising painters, sculptors, engravers, printmakers, draughtsmen and architects, from whom they elect a President. Elections are held at regular meetings of the General Assembly, when new members are voted in by existing Royal Academicians. Professor Hilary Robinson, Dean of the School of Art and Design said: “This is the highest level of peer review and esteem in the field, with only 80 RAs at any one time. Academicians help steer the RA's vision, support its activities and plan for the future and are entitled to exhibit up to six works in the annual Summer Exhibition. Professor Boyce, who is of British Afro-Caribbean heritage, lives and works in London. She studied at Stourbridge College, West Midlands, and her early work addressed issues of race and gender in the media and in day-to-day life. She expressed these themes through large pastel drawings and photographic collages. Her work, which is represented in the permanent collections of Arts Council England and Tate Modern, London, has since shifted materially and conceptually by incorporating a variety of media such as photographs, collages, films, prints, drawings, installation and sound. In 2007, Professor Boyce was awarded an MBE in the Queen’s Birthday Honours List for services to the arts. As well as her role as Professor of Fine Arts at Middlesex University she is also Professor of Black Art and Design at University of the Arts London (UAL) and is one of the founders of the Black Artists and Modernism Project (BAM). This three-year research project led by UAL in partnership with Middlesex University and funded by the Arts and Humanities Research Council aims to highlight the critical role black British artists have made and are continuing to make in 20th and 21st century art. It is a contribution that is too often marginalised or erased in collective memory and modern art criticism, with public discussion or academic discourse around black British artists frequently focusing on their ethnic or political identity, rather than their place within wider art or cultural movements. Professor Boyce and her colleagues hope to overturn this collective ‘amnesia’ by reassessing and documenting the artworks of British artists of African or Asian descent, held in public art collections across the UK.